I’m not sure where my voice has gone but I’m hoping it comes back. I hope that writing today when there is chaos in the house will help my focus. Lately my silence on paper has been deafening though so that is why I have stopped all the fiddling around with art supplies in order to focus on my voice – which is essentially my writing. Last time it only had one volume – out loud, really loud – or when on paper and blog it was strong and forthcoming and somewhat rewarding. The phrase “silence is golden” came to mind this day when I pulled out the keyboard, but that sounds like a winning opportunity – like years ago when all my children were taking naps simultaneously. 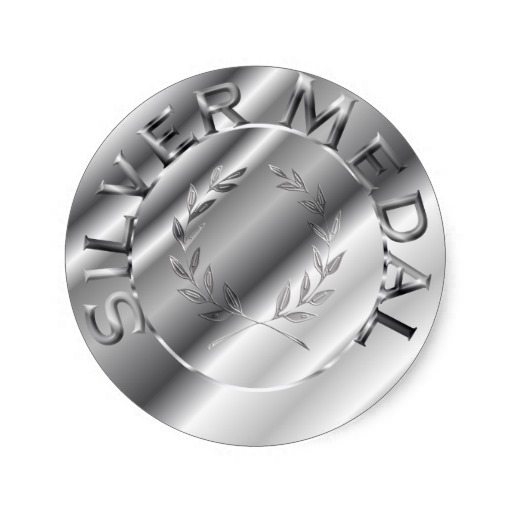 Right now, silence, in reference to writing, seems 2nd place … like a silver medal, not a gold. There’s nothing wrong with silver in the Olympics, but to some, it’s just not gold. Silver: It’s just not as significant as the big win. I guess I’m on a bit of a wayward streak around here and that’s ok, but the fact that I seem to be stuck there is a big deal. And it’s not all just about writing, it’s about life. Lately I’m catching a breath of fresh air – or catching a break – only to forget where it came from. Sometimes I forget that for a brief moment in time I felt free from pain or free from the chaos that my life has become. Write on, my friend. Right on!